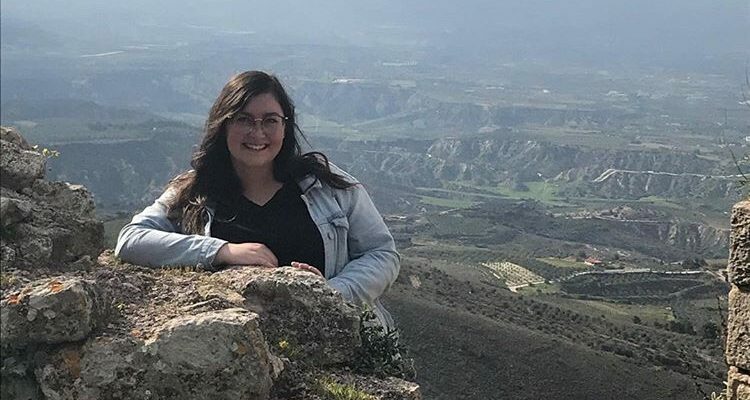 University of North Dakota student, Megan Reister, planned to study in Norway for one semester at the American College of Norway. She quickly learned that one semester wasn't enough. 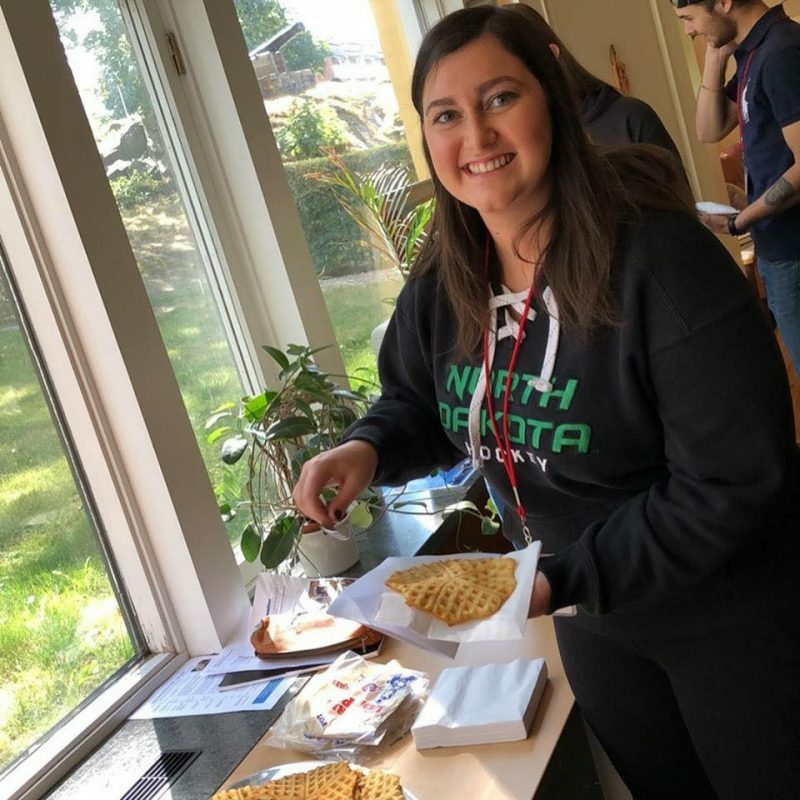 From the minute I started my bachelor’s degree at the University of North Dakota (UND), studying abroad was something I always planned to do. 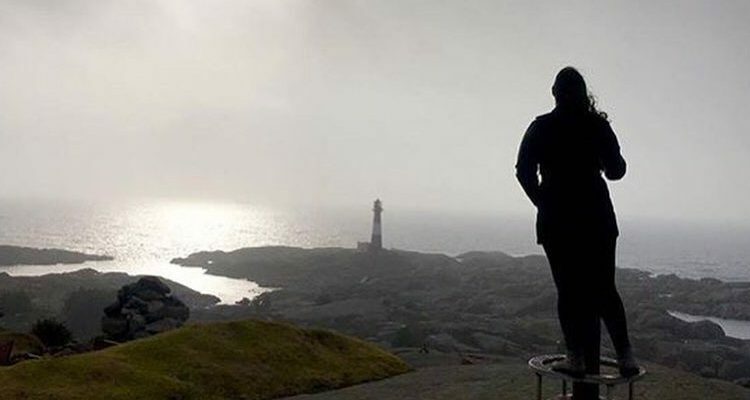 Norway was without a doubt where I wanted to study, but where in Norway, I didn’t quite know. Thankfully, I quickly learned about the American College of Norway from one of my professors who has taught there before. Hearing nothing but positive things about the program, ACN seemed like the right place for me. The fact that ACN was also very affordable and only a short train ride away from Oslo sealed the deal for me. I am so glad I decided to study in Norway and attend ACN because I would have missed out on a great opportunity if I hadn’t. At first I was a little apprehensive about the school being small, but in the end this actually made the experience even better. Because ACN is a small and inviting campus, students get to know each other easily and naturally. 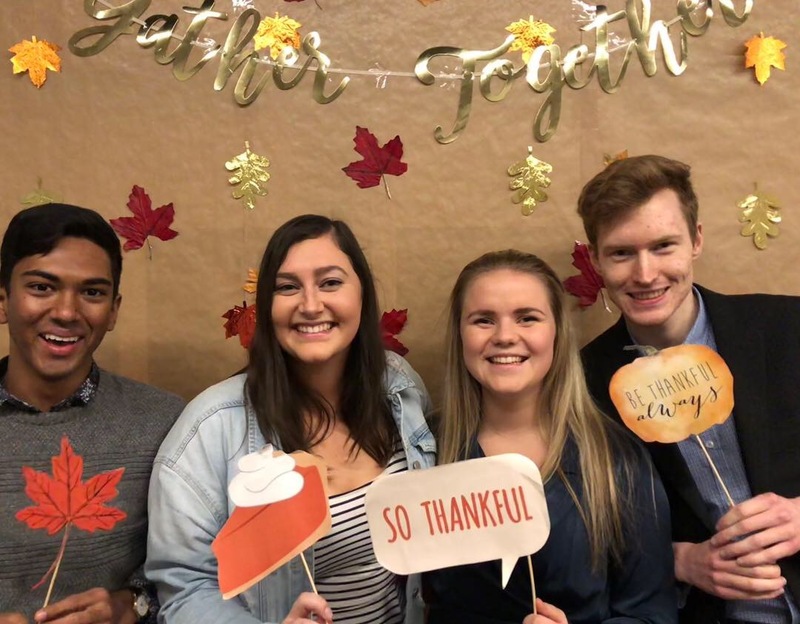 ACN is a diverse living/learning community with students from all over Norway, the United States and several other countries. Studying alongside peers from all over the world in this type of setting has had many benefits both in and out of the classroom. At ACN I have also been able to take advantage of the long weekends and many breaks we have. First semester I traveled to Amsterdam, Barcelona and Rome during fall break. At the start of second semester, during winter break (we have a lot of breaks at ACN!) I had the chance to visit my Norwegian roommate’s hometown for a week. 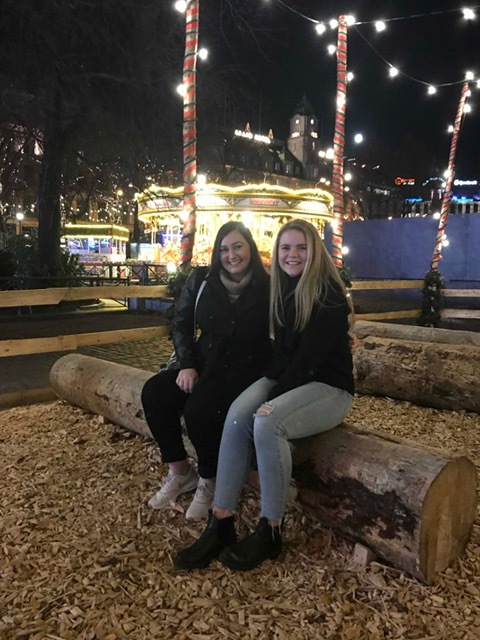 Having a Norwegian roommate and getting to visit her hometown is something that is so unique to ACN. I was also recently in Greece and during Easter break I’ll be joining the ACN travel course to Dublin, Ireland! One of the best things about ACN is the staff. They have been very helpful with everything I’ve needed here. When I arrived in Norway, they made sure I had everything I would need to live comfortably in my apartment. After I was settled in to my room, a staff member showed me where the grocery stores were and what things to buy. Because of this, I never had to worry about getting lost in Moss and I’ve always felt comfortable asking them for help. ACN staff also plan day trips to Oslo for us. Not only are these trips a lot of fun, but they also help us experience the city like a local. We have visited numerous places in Oslo including iconic Oslo landmarks like the Opera House and National Gallery to exciting neighborhoods filled with some pretty great eats that I would have never known about without their insight. Overall, spending a year at ACN has been one of the best decisions of my life. I am extremely glad I decided to spend two semesters here instead of one. Not only have I been able to further my education but I have also made some pretty great friendships here. Even though I have been here for almost seven months, I am still not ready to leave in May. One unique thing about ACN is that many of my Norwegian friends will continue studying in the U.S. this fall. Some of them are even planning to study at UND. Now it will be my turn to show them around! If you want to study in Norway, I’d highly recommend studying abroad at the American College of Norway. I doubt you’ll get a more Norwegian experience if you tried! 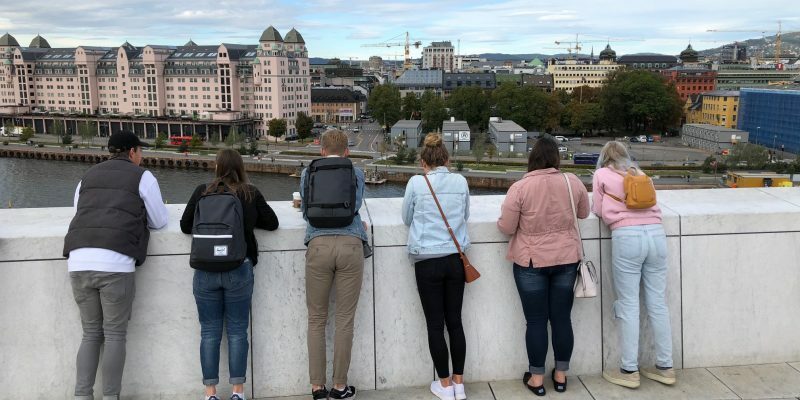 From having a Norwegian roommate to studying alongside Norwegian peers , don’t let the name fool you, the American College of Norway is pretty Norwegian! 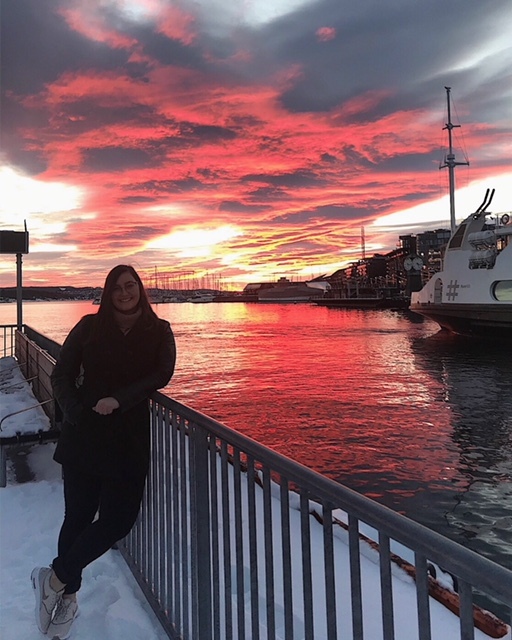 ﻿If you’re hoping to study in Norway at the American College of Norway like Megan, click here to learn more about our unique and exciting program! 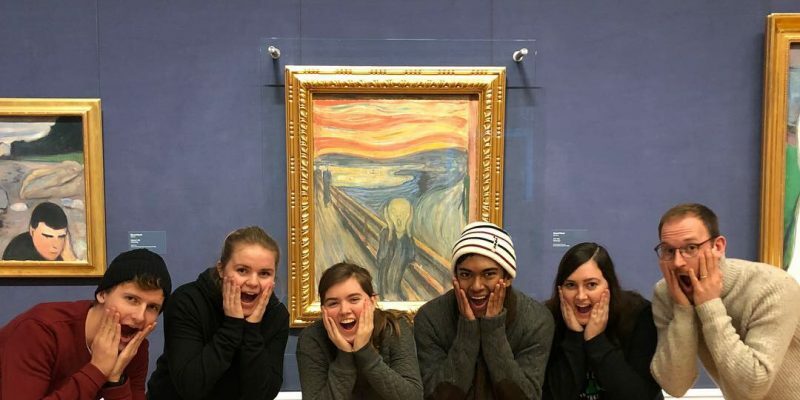 Watch our study abroad video too by clicking here!